Hello, let me start by saying congrats on the engagement! At this point I know it's all super exciting, but at the same time can be rather overwhelming. My aim is to make the process of design as fun and easy as possible, this is why I offer a range of services so you can pick and choose everything you need to create the perfect wedding package. Want to know a little about me? 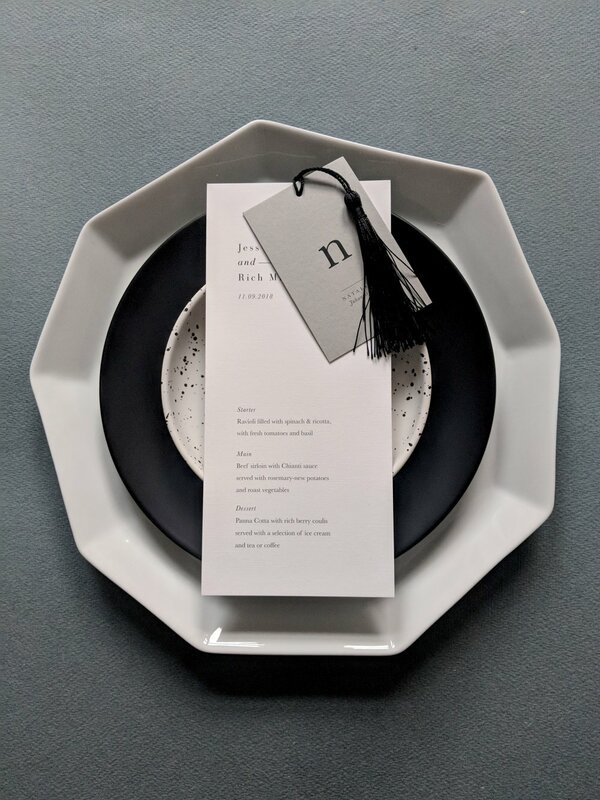 Nat’s Paper Studio is a London based design company offering luxury wedding stationery and styling. From save the dates to invites and on the day materials, we offer ranges to suit every budget. Choose from semi-custom templates in the House Collection to a Bespoke Design, allowing you to collaborate with us to create something unique to you! Work with me to create a completely bespoke design with everything you will need to bring your day to life. 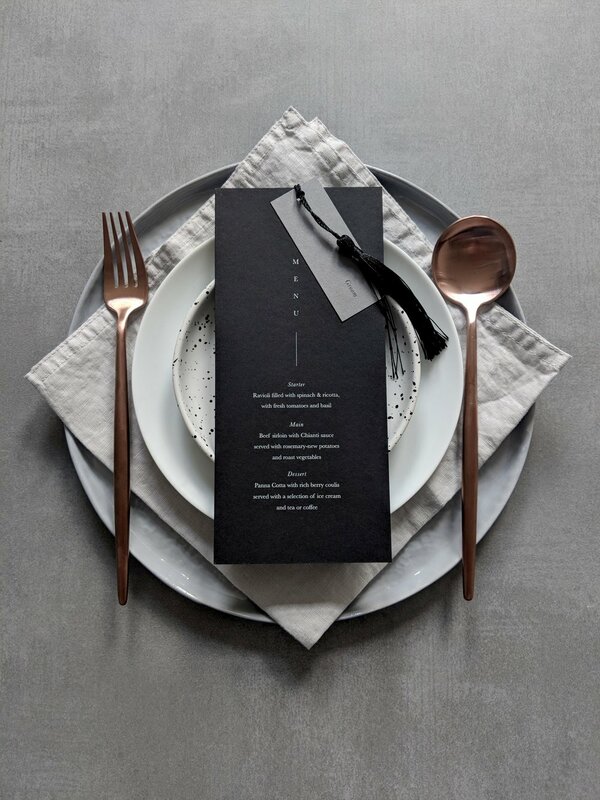 Each custom wedding suite created by Nat’s Paper Studio strives to reflect the unique style of your wedding. Due to the nature of custom work I offer a detailed pricing estimate after chatting about your individual wishes. 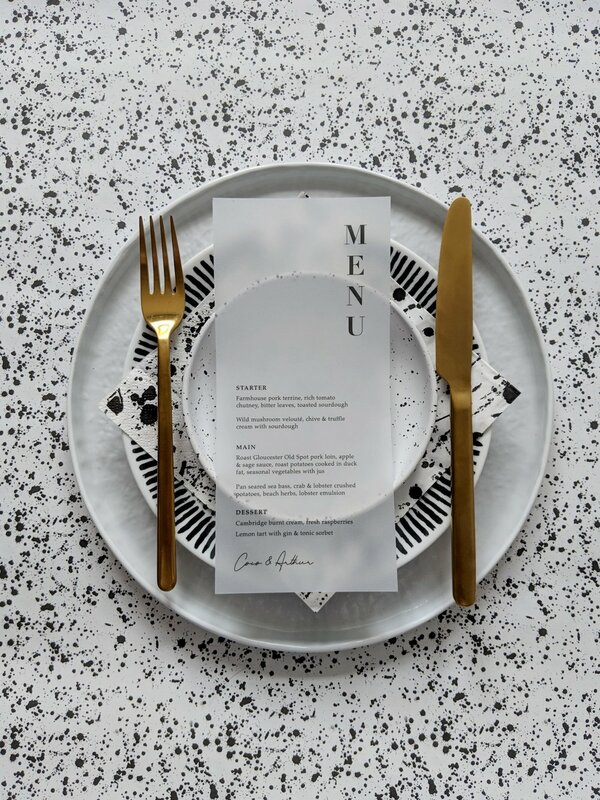 A Nat’s Paper Studio project showcasing menu and table styling weekly. Here’s some of the latest Platescapes.